This finding suggests that corporate tax cuts, when used counter-cyclically, can be an effective policy tool if government desires to stimulate employment and income during economic downturns. The new Congress is sure to take up the eternal question of reforming the tax code, and just as surely there will be debate about whether cutting corporate taxes will help stimulate employment and boost income. Here’s a critical fact uncovered by NYU Stern Professor Alexander Ljungqvist that could inform that debate: over a period of 40 years up to 2010, a decrease in corporate income tax rates at the state level did not increase employment or incomes. In “To Cut or Not to Cut? On the Impact of Corporate Taxes on Employment and Income,” Professor Ljungqvist, the Ira Rennert Professor of Finance and Entrepreneurship, and PhD candidate Michael Smolyansky measured the sensitivity of jobs and income to changes in corporate tax rates by analyzing state data that included 140 tax increases and 139 tax cuts affecting 45 states, including Washington, DC. They found that higher tax rates hurts employment and income: an increase of 1 percentage point in the top marginal corporate income tax rate reduced employment by between 0.3 percent and 0.5 percent and reduced income by between 0.3 percent and 0.6 percent. Significantly, however, lower rates did not boost either employment or income, with one exception: a cut in corporate tax rates during a recession led to sizeable increases in both employment and income. 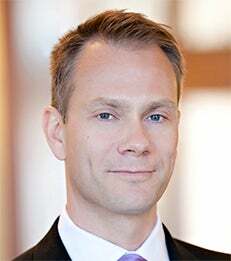 Says Professor Ljungqvist, “This finding suggests that corporate tax cuts, when used counter-cyclically, can be an effective policy tool if government desires to stimulate employment and income during economic downturns. The Huffington Post, "Study Debunks Major Argument In Favor Of Corporate Tax Breaks"